The Flight Crew has been an integral part of the Prosper Eagles every football season. On game day, Boys and Girls in grades Kindergarten - 5th, get to run with the Eagles on to the field before each game. 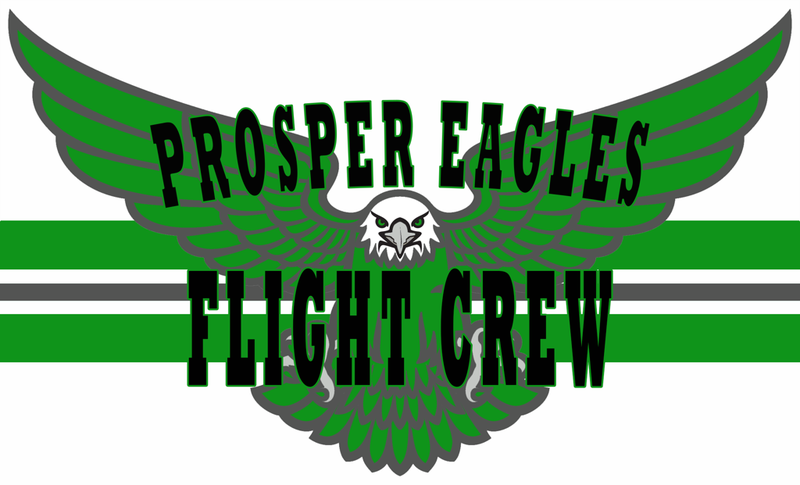 During the week, each Flight Crew Member gets to interact with a player from the team by sending and receiving a letter to/from their Prosper Eagle. We would like to thank our 2018 Flight Crew team in helping the Prosper Eagles to victory each and every week of the season. 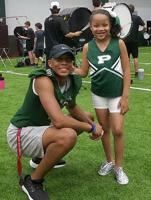 Special thanks to the PHS Flight Crew Organizers for allowing my son Jostein Clarke (#9 WR) to partner with his sister, Landowyn Clarke. This was an absolutely amazing experience for them and our family. Frankly, she has been cheering and sporting a cheer uniform for every team Jostein has played since she was six months old as a (little league football player). Jostein penned the most heartfelt letters to thank her (Landowyn) each week which were not only emotional but inspiring. As a parent it brought tears to me and my husband's eyes to grasp the gravity of their sibling connection! Brayden loves Flight Crew. It was really cool getting encouraging notes from his buddy Eli (82). Made Game Day a lot of fun and getting to meet up and have pizza was awesome! Our daughter has had a blast participating in the the Flight Crew program. Her buddy is Dylan Harrison #20 and he has been a wonderful role model and has sent her over 6 letters. Our son has had such a great flight crew experience! He’s loved it and has become close friends with his varsity buddy and his family! Here’s some pics. Devoncy Malloy has been a real encouraging influence on our son. He has been so supportive and attended Riley’s football games the last two years. Every mom would love their son to look up to someone like Devoncy! 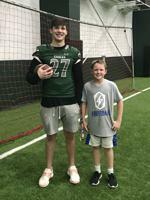 My son, Carter Fielding, getting kicking pointers from Cade York, his flight crew buddy. If you would like to share your Flight Crew experience, click here. ©2019 Prosper High School Football / SportsEngine. All Rights Reserved.